SHOOTING THE SHIZNIT : Midnight Gold returns to ASWF!!! Midnight Gold is returning to the ASWF this Saturday June 13th and next Saturday June 20th. 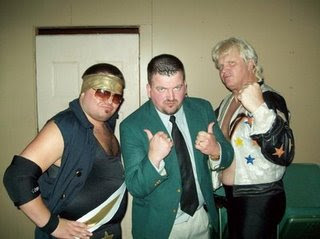 be sure to stop by Tuckerman, AR to see "Beautiful" Bobby Eaton, "The Golden Boy" Greg Anthony and of course Brian Thompson. Tickets are only $6 dollars at the door and belltime is 7:00pm. I hope to see YOU at the show!